After a quiet start to the winter for much of the UK and Europe’s Atlantic coastlines, it looks like things might be starting to wake up as we head into 2018. 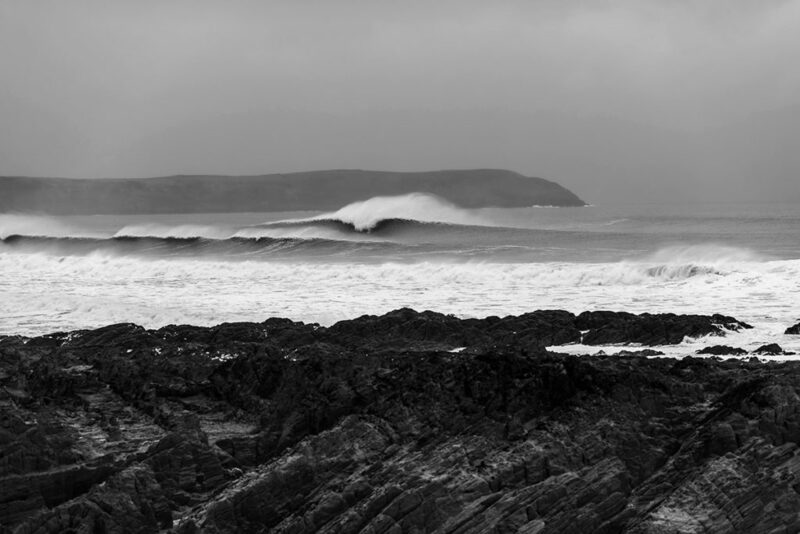 Forecasters are predicting a succession of Atlantic storms currently making their way towards Europe’s western facing coastlines, with the height of the swell forecast as 24.5 foot at 18 seconds at exposed spots. The first pulse sees the convergence of three low pressure systems over the next few days, sending the bulk of the swell south towards Cornwall and the Bay of Biscay, with some making it’s way up the channel, before a solid dartboard low pushes in behind early next week, making landfall on the west coast of Ireland and sending swell into pretty much every nook and cranny of Europe’s western coastline. The second swell is accompanied by spring tides, making storm surges likely, so go carefully. Scotland’s north coast won’t see much from this first pulse because of its positioning and the second looks to be coming in with fairly unfavourable winds for the north coast. The peak of the swell in Wales, Devon and Cornwall looks currently to be accompanied by strong westerly (trending NW gale force by the afternoon) winds, with the second pulse (due to peak next Wednesday) looking big enough to light up even the most sheltered of corners, so there should be places to hide. Ireland looks to be battered by the brunt of the swell, with 20 foot wave faces predicted at exposed spots, however the wind looks less than ideal, with 41mph WNW making much of the west coast a write-off until the latter half of next week when it swings to become more favourable. The south coast of the UK, as far up the channel as Brighton, looks set to enjoy a solid pulse on both Monday and Wednesday, and possibly Friday too. The winds are looking changeable but generally strong and predominantly from the west before trending WSW into the latter part of next week. Shelter is once again the name of the game. Along France’s west coast the picture is much the same with solid swell and howling cross-onshores, however the wind is looking much better for the north coast of Spain, where the peak of the is accompanied by south westerlies, which are offshore at lots of spots. 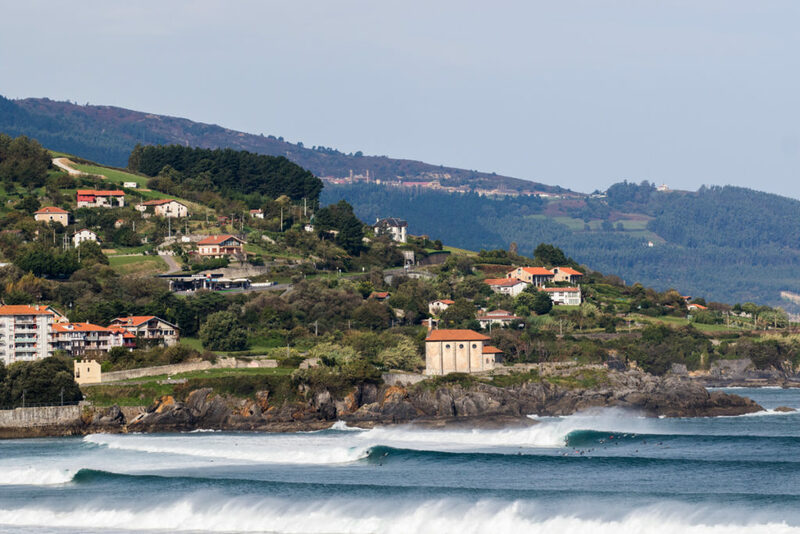 Along Portugal’s west coast the winds are once again looking strong and SWerly for the first pulse of swell, before becoming much lighter, although remaining predominantly westerly through the first half of next week. Nazaré promises a few windows of optimum conditions early doors before the wind swings and picks up onshore by late morning on Monday and Tuesday. Further South in the Algarve the winds look lighter still but onshore for the west coast and optimum for the south coast. As always this forecast is vastly subject to change so be sure to check back closer to the time for more accurate predictions.